Job Description: We are currently seeking Storyboard Revisionists to join our team for an exciting new production with worldwide exposure. This is a long term contract which may offer an open door for a junior artist to take their skills to the next level and advance in the industry. This position reports to the Storyboard Supervisors. Experience on an animated series or feature film preferred but not essential. Must have a strong portfolio. Must have a passion for sketching, conceptualizing and developing characters. Must have the ability to work efficiently and under pressure. Must be highly creative, with the ability to work within tight deadlines. 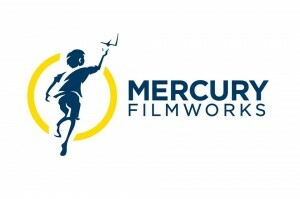 How to Apply: Please send your resume and portfolio, ideally containing storyboard samples, to the following email address: jobs@mercuryfilmworks.com and reference: SBR – 0614 on the front and in the subject line of all submissions. This entry was posted on Wednesday, June 18th, 2014 at 12:08 pm	and is filed under Jobs. You can follow any responses to this entry through the RSS 2.0 feed.